The Browning Fishing Maxus is no longer available. To find a comparable reel, please use the menu to the left. "I like the DPS system on my BPS Rick Clunns so that was my criteria. 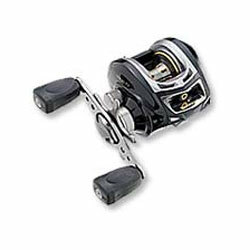 I found the Browning reels have kind of the same setup and for $69.00 I went ahead and picked 3 of them up. I had one complaint right from the get go and it's the handles they are a hard plastic and aren't comfortable at all so I found some handle covers and installed them.